Double Layer Shirt Black by Saw. Take the guesswork out of layering with this double layer shirt in black and white. Long sleeve shirt in black attached with patterned T-shirt on top. T-shirt designed with a spliced pattern made from mixed mesh and faux leather. Double layer shirt is perfect for getting the layered look without the hassle of mixing and matching individual pieces. 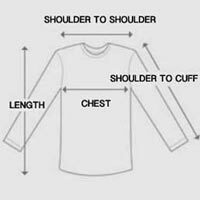 Shirts are attached and cannot be worn separately. If your style is casual and cool, you’re going to love this comfy double layer shirt.